 The Spring Festival is a theme park that all the family can enjoy. 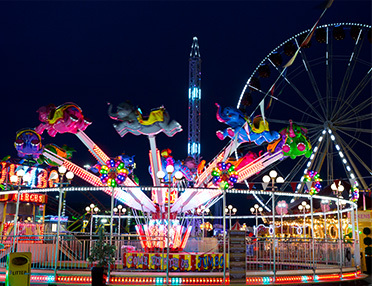 It is not just the variety of rides and entertainment options that make The Spring Festival unique, nor is it the very reasonable entry price. No, what sets The Spring Festival apart is the atmosphere and excitement that comes with something different. The theme park is open for just over a month, returning in 2017 from 31st March to 2nd May, and is certainly not a permanent fixture at the Brent Cross Shopping Centre in London. When children and adults alike visit The Spring Festival, you can hear the excitement in the rabble of voices. There is so much to see in such a short space of time that people rush around, trying to cram as much fun as they can into an afternoon or evening. Entry to the park is just £3, and once inside there are a wide variety of rides and stalls to keep you busy. The Spring Festival is truly family-friendly. The rides range from roller coasters and swinging carousels to rapids adventures. There are entertainment stalls, elephant rides and gentler roller coasters for children, and toddler-friendly games for the real youngsters. 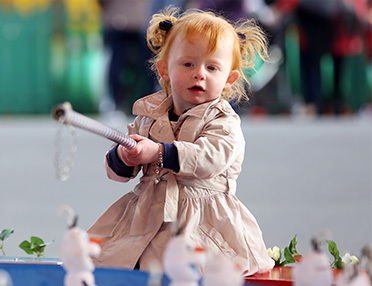 These include mini dodgems, a play centre and many other exciting stalls. 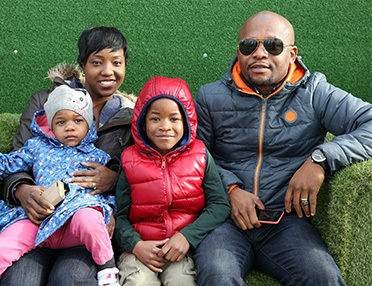 The theme park is designed with families in mind. The facilities are excellent, there is accessible parking nearby and you can combine your trip with a visit to the Brent Cross Shopping Centre just next door. Ride tokens cost £1.20 each, or you can by 10 tokens £10, making this day out very good value. There are several different food and drink options, to ensure that all visitors remain well fed and watered for the duration of their stay. So why not bring your family down to The Spring Festival for a day? With so much to do, there is something for everyone. 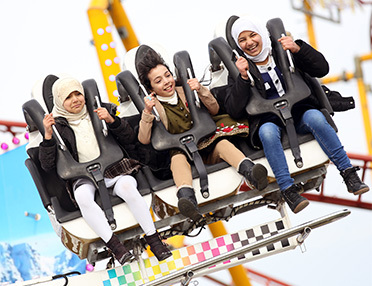 Rides, entertainment, great prices and a range of snacks are all excellent features, but it is the originality of The Spring Festival that really makes it one of the best things to do in London over Easter. The Spring Festival Is Back! The Spring Festival of light is a themed attraction with rides for children, adults and all the family. 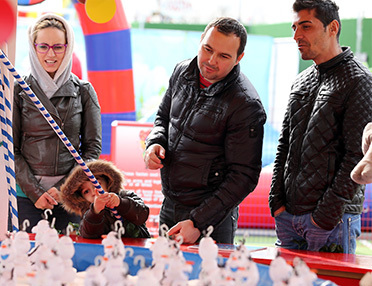 We are located by the Brent Cross Shopping Centre in London, this event is perfect for a day of fun with all of the family! Copyright © 2019 The Spring Festival. All rights reserved.